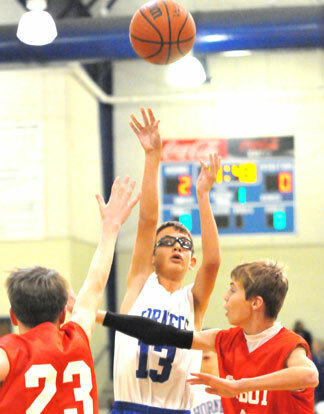 The Bryant White Hornets seventh grade team of Bryant Middle School broke open a close[more] game late and forged a 39-31 win over the Cabot South seventh graders on Tuesday night. It was the Hornets’ season-opening game. Tristan Calhoun pumped in 16 points to lead the way. Brandon Hill added 6 while Brandon Murray and Jake Forst had 4 apiece. Cabot South held an 11-10 lead at the end of a hotly contested first-quarter. By halftime, the Hornets had eked out a 16-15 lead. 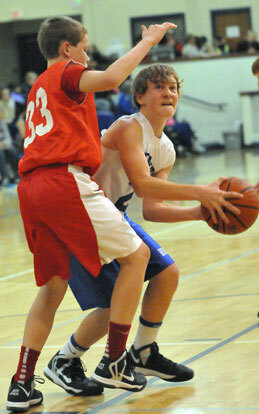 Bryant White was up 25-23 going into the fourth quarter. 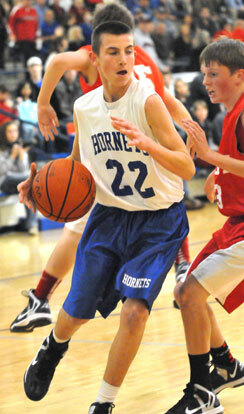 “I thought the effort was good and (Cabot South) had a hard time with our pressure,” said Hornets coach Heath Long. “Offensively, we need to execute a little better and also make sure that we do a better job of closing out on shooters on defense. “I was glad that we were able to get a win in our first game,” he noted. 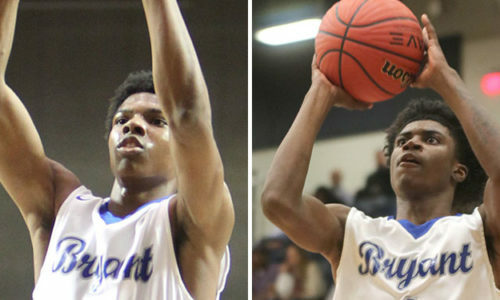 The Bryant White B team is scheduled to play again on Dec. 10 at Bryant Blue. 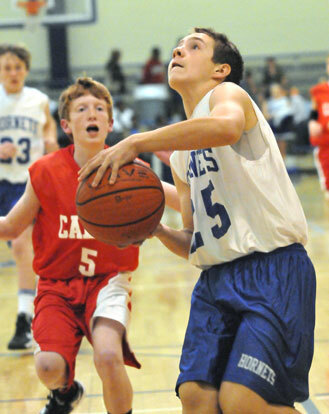 The A team returns to action at home on Dec. 11, against Lake Hamilton.